I looked for a travel stroller for months. I kept buying different strollers in the hopes that one would be just right. But no matter how many I tried, I hated every. single. one. I was looking for a stroller that was lightweight, easy to push and would fold into a small size. Right before our first mother-daughter trip I finally found it! The stroller I had been looking for was the Chicco Capri. 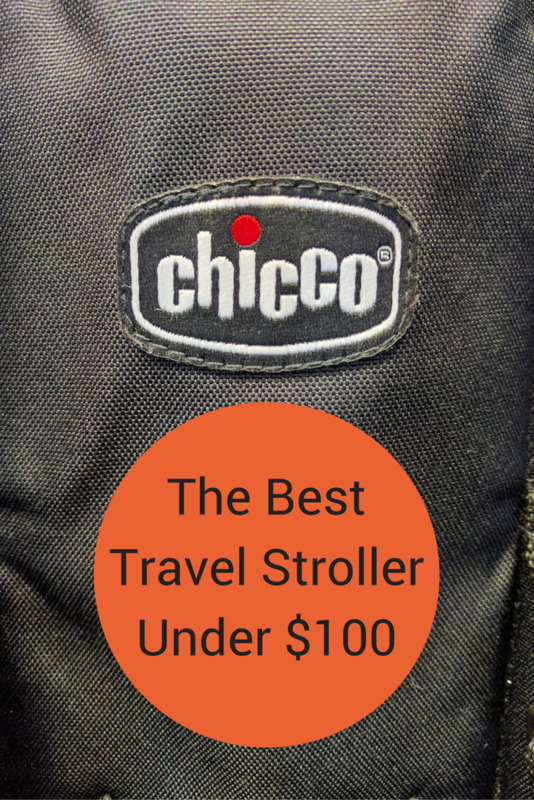 It had exactly what I needed in a travel stroller and it was under $100! It has a slim profile – I hate to navigate city streets and amusement parks with a bulky stroller. With the Chicco Capri I can easily move in and out of crowds. Folds up into an easy to manage size and comes with a travel case – I love that when it is time to gate check our stroller it goes inside a nylon case. Shoulder strap – There are two shoulder strap options. The first is on the nylon travel case. The second is attached directly to the side of the stroller. Why is this shoulder strap a big deal? I often travel alone with Elizabeth which started when she was a year old. 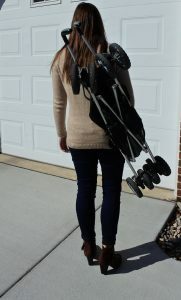 The shoulder strap comes in handy if you need to climb stairs, take public transit, or if you are alone and trying to manage a car seat, stroller, diaper bag, carry-on suitcase, and 1 year old all at the same time in an airport. Seat belt – Unlike most umbrella strollers that only have a lap belt, this one offers a five point harness to better secure smaller children. Durability – we used (and abused) this stroller for 7 years. Despite tons of use it is in great shape. This beauty will get a second life as my niece’s travel stroller for her first Disney trip later this year. Price – This stroller runs about $80 depending on where you purchase. Sun Canopy – The sun canopy worked as intended, but popped loose every time I folded the stroller. Since I found myself folding the stroller more often than not (either to gate check or grab public transport) I finally left mine at home. I know for some people not having the sun canopy would be very problematic. Minimal Storage Space – There are no built-in cup holders and the under seat storage is quite small. I invested in a small nylon accessory to clip onto the handles with cup holders, a zipper pouch and carabiner clips. If we needed more storage I simply placed a toddler sized backpack over the two handles and hit the road. Does not fully recline – this stroller has two options: upright or slightly reclined. The recline is accomplished by unzipping a zipper on each side of the seat. Elizabeth never slept in any stroller so this was never an issue for me. No “off-road” capability – We mainly travel to cities and amusement parks so this was not a concern for us. However, if you like to go off the beaten path this may not be the best choice for your little one. Finding the perfect travel stroller can be a challenge. There are a lot of options available, but most of the ones that provide similar benefits to the Chicco Capri also come with a hefty price tag. I hope that I have provided you a cost-effective, but still amazing option for your travel stroller. I am a big fan of Chicco products. That includes cribs, baby bottles, and strollers. They are stylish, durable, and very affordable. 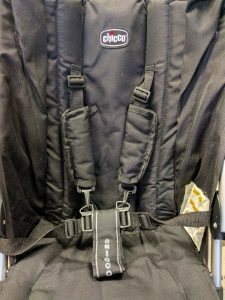 I love your review on this $80 with a shoulder strap, lightweight alum, and five-point harness. It also lasted for seven years. This review is a classic example of why I never understood the point of thousand dollar strollers.